You know what’s nice about doing designs for WeLoveFine.com? The contests are always legit, the prizes sizeable, and they attract some impressive brands too. If I were an artist that liked to pop culture designs I’d be subbing to them quite a lot, because making a fun X-Men design is one thing, but making one that is actually licensed and approved by Marvel is another. 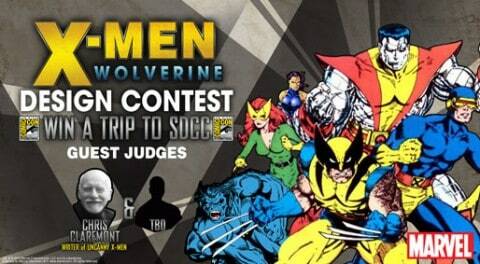 In this particular contest the Grand Prize winner is going to be sent to San Diego Comic-Con later in the year… that sounds pretty cool.